Exposure to electricity results in hundreds of deaths and thousands of injuries each year in the United States. At both work and at home, some electrocution mishaps involve negligence – unsafe working conditions, insufficient safety training, manufacture or design defects in appliances, shoddy work by a repairman or subcontractor, a utility’s failure to properly fix or replace a damaged power lines. If you or a loved one suffered a severe electrical injury or death as a result of possible negligence, you may want to contact an electrical injury attorney for a free review of your case. 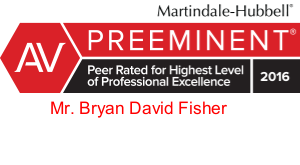 Bryan Fisher and the legal team at Fisher Injury Lawyers will immediately dispatch our unique attorney/engineer teams to investigate and evaluate potential electrical injury lawsuits. Electrical current exposure can result in a wide range of injuries, including skin burns as well as internal burns that can cause swelling and compression of the arteries, cutting off blood supply to the limbs. It can cause deadly abnormal heart rhythms, kidney damage and even cataracts. In some cases, an electrical jolt can cause a bad fall, resulting in dislocations or broken bones. Nerve damage to the spinal cord can result in paralysis, numbness, chronic pain or erectile dysfunction. Electrical damage to the nerves and brain can manifest in seizures, brain hemorrhages, short-term memory loss, personality changes and difficulty sleeping. Many of the serious injuries and deaths due to electrocution occur in the workplace, with about 250 reported annually. In addition, nearly 3,000 yearly are hurt badly enough in electrical mishaps to miss work to recuperate. Leading causes of workplace electrocutions include contact (often with metal ladders) with overhead power lines and contact with wiring, transformers or other electrical components. Machines, tools, appliances and light fixtures also are often involved. Call us now.